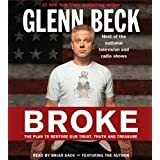 This is part VVI of XXI of a detailed analysis of Glenn Beck's newest book, Broke: The Plan to Restore Our Trust, Truth and Treasure, co-written with the help of Kevin Balfe. Keep in mind that it was published on 10/16/11, one month before Beck admitted complete ignorance "with the economy." (Balfe, a "reporter" working with Beck's "news" site, The Blaze, has been contacted for comment on Broke but has not returned the message on Facebook.) Chapter 7 continues to proceed through American history and is entitled, "The 1960's and '70s: A Summer of Love, Two Decades of Spending." Beck/Balfe begin this chapter with a character assault on President Lyndon Johnson. He was an arrogant, cocky, philandering racist, Beck claims and adds, "I relay this story not to smear a former president," sure, "but because understanding the role that elitism and narcissism play in progressivism is extraordinarily important. "(1) Two points about this: first Beck uses his understanding about one president to extrapolate Johnson's flaws to all progressives. That's just sleazy deceit. 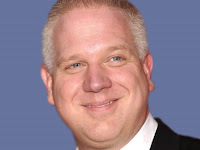 Because Beck is a liar and a hypocrite doesn't mean that all reactionaries are. Second, Beck once had a psychologist on his show that Beck was trying to get to declare President Obama a narcissist. To his credit, Beck's guest would not take the bait saying that he'd have to interview the President before making this diagnosis. Beck is not a psychologist, not college educated and had never met the late president; but without any citation declares Johnson a "narcissist." Beck makes baseless assertions likes this and deems himself a "historian." Beck continues to demonstrate his lack of understanding Johnson's "War on Poverty" by claiming "that LBJ was also seeking a nearly utopian society. "(2) Beck, again, doesn't cite anyone making that claim. Utopias are typically small, "intentional communities" or communes. Utopias that are macro-economic range from pre-Marx socialisms to libertarian ideal societies and "capitalist utopias" that "are generally based on free market economies, in which the presupposition is that private enterprise and personal initiative without an institution of coercion. "(3) Utopia, as Beck implied the word, would have meant equality, not merely the end of poverty. Beck's misuse of the word is sloppy scholarship (again) at best, and he continues to repeat the word throughout the sections on Johnson. Beck argues that Johnson was only interested in buying voting blocs. LBJ "reached out to low-income households and disenfranchised African-Americans and offered them a classic deal with the devil: Vote Democratic and get free government goodies in return. "(4) Here is Beck demonizing Democrats because he doesn't agree with them, a standard approach taken by Beck but not someone one reads in a legitimate history book. Beck's argument that Johnson was buying votes with his anti-poverty programs don't add up. Most of Johnson's programs were not enacted until after the 1964 elections, and Johnson did not run for re-election in 1968. Beck wants to argue that politicians create programs for voting blocs as if Republicans do not do the same thing. "The truth," Beck adds, "was that LBJ couldn't have cared less about the plight of blacks. "(5) The citation that was used in this section claims something to the contrary: "...even as a senator, [Johnson] had become a moderate on race issues and was part of efforts to guarantee civil rights to African Americans. "(6) The fact is that Beck and Balfe could care less about the truth or even reading their own references completely to determine the truth! On pages 80 and 81 Beck creates a contrast between conservative economist Milton Friedman on one side and reformer economist John Maynard Keynes on the other. The problem with this contrast of positions is that one philosophy works better when the economy is healthy and growing while the other philosophy works better when the economy is in a downturn and contracting. The real problem is that Beck's reactionary bias doesn't allow him to make this distinction. For Beck, government actions to stimulate a stalled economy are bad...even if they worked in 2009 to turn the Great Recession into a slow recovery. 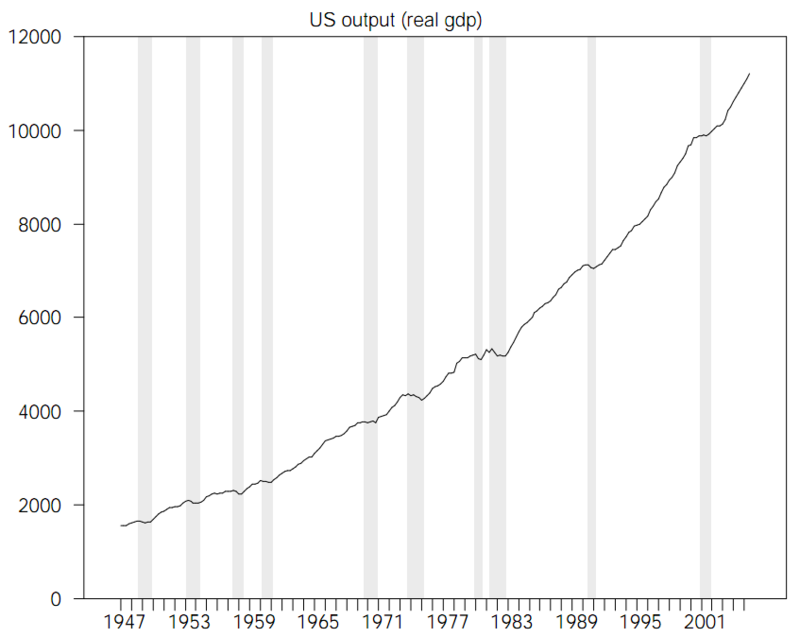 In this chart, the downturns are slightly shaded, and the 1960's was a period of economic growth. Beck has a belief about small government that does not comport with the facts. That doesn't stop him from making many unfounded claims anyway. What a terrible president! Who needs safe drinking water anyway? Beck's libertarian stand against government regulation looks pretty absurd when one considers the consequences of not have safe products and work environments. Clearly, Beck's priorities are with the fat-cat owners of large corporations, but this has been pointed out here before. President Kennedy warranted only two paragraphs in this chapter. First Beck claims that Kennedy "reflected [the] hubris" of demanding "utopia" (see above) in his inaugural address when he asserted that "man holds in his mortal hand the power to abolish all forms of human poverty." Beck claims that statement a "paradox" because "poverty was already falling. "(11) Although it was the case that poverty in the U.S. was falling, that doesn't make Kennedy's statement a paradox. It would have made the statement unnecessary, not a paradox, except poverty in the U.S. never fell below 10% since then. (12) Beck did note that Kennedy's vision was more conservative "than many have come to believe," but he never mentioned that he cut the top tax rate from 90% to 70%. Strange omission for someone who sides with those in those tax brackets. Responding to author and democratic socialist Michael Harrington, who wrote in his book, The Other America, "I work on an assumption that cannot be proved by Government figures or even documented by impressions...A fact can be rationalized and explained away; an indignity cannot;" Beck shot back, "Right, because who needs data when bleeding hearts are all that's required? "(13) Isn't the real question, in light of the flaws in scholarship in Broke, who needs Glenn Beck when the corporate wealthy already dominate our political economy? Beck really is, as he described himself, a rodeo clown distracting people from those who control the media, the economy and the political order.